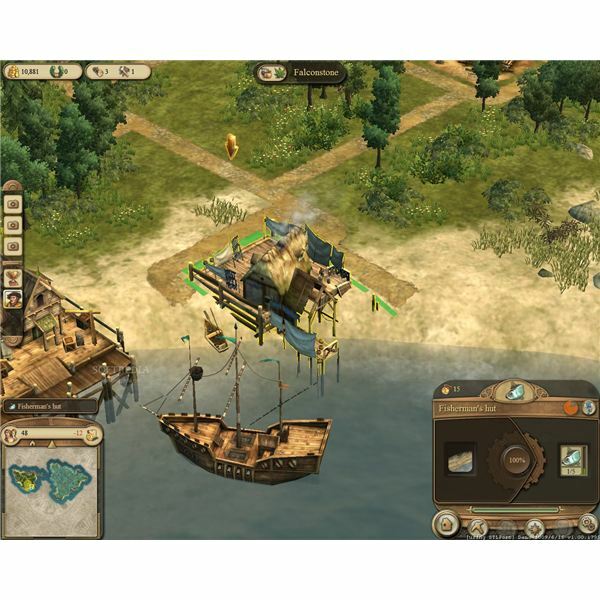 At the beginning of the Dawn of Discovery campaign, and at the beginning of most sandbox games and some scenarios, you will be limited to peasant buildings at the start. You can of course move on to more advanced structures, but to get there you’ll first have to understand how these basic buildings are best used. They also continue to be important in the late game because they are required to bring in additional citizens and harvest basic resources. The peasent house is essentially the foundation of your tax income. Taxes are based off your population, and population growth begins with the humble peasant’s house. The Peasant house will, when requirements are met, upgrade to the Citizen, Patrician, and Noble houses. This increases tax incoming, but the house’s occupants will also require more to maintain their happiness. The upgrade costs for the Peasant House are as follows. The marketplace is the centerpiece of your population. Peasant houses MUST be built within the build radius of a Marketplace. 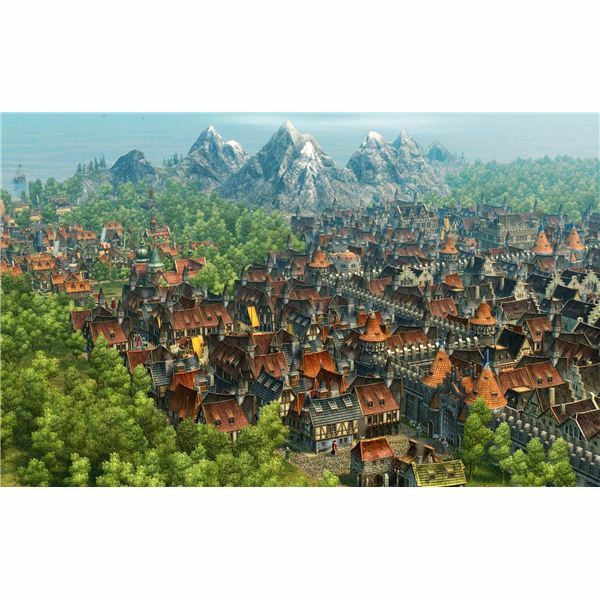 The houses must also be connected to the marketplace via roads. If the houses are not connected by a road the "Need for Company" will go unfulfilled and the house’s residents will move out. Because the marketplace radius is the only place where peasant houses can be build the marketplace demands a certain amount of planning. The marketplace’s radius should ideally consist entirely of flat, open land which is easy to build on. This maximizes the number of houses you can put down. It isn’t wise, for example, to place a marketplace on the coast. It also isn’t wise to waste some of the marketplace’s radius with farms or other resource buildings. The market building acts as the center of your resource production. Resource producing buildings MUST be built in the radius of a market building. They also must be connected to the market building by roads. This is because the market building sends out market carts which transport the resources from your production buildings to your market building. No road, no market cart. Once resources are brought to your market building they contribute to your island’s overall stockpile. While you may have many market buildings, they all share the same stockpile. This is also shared with the warehouse at your island’s port. Market buildings do not have to be connected to each other by roads for this to happen. Ah, the dirt road! The dirt road has two purposes. The first is to connect peasant houses to your marketplaces. The second is to connect your resource buildings with your market buildings so that market carts can retrieve resources. The most basic food production building in the game, the Fisherman’s hut sends out fisherman to retrieve fish for your peasants. Obviously, it must be built on the coast. You really only need one early on, but as you expand do remember that you will have to build more of these. Many players forget to build extra huts, which results in a food shortage. And since fish is a basic good, running out may result in starvation and riots. You’ll probably have more lumberjack huts than any other production building. Wood is needed for everything. Both buildings and ships require large amounts of wood. Lumberjack huts are small, but they need to be built in areas where they can be isolated. Lumberjack huts will be surrounded by a small radius when you are in the process of placing them. That radius is the production radius. If any other building is in that radius it will reduce the hut’s wood production. Apparently this makes your citizens happier. I haven’t been able to figure out any numbers as far as how much it makes them happier. It also looks pretty. These are not required for production buildings that use wood. The trees those buildings chop down are replinished automatically. Cost: 100 Gold 5 Wood 1 Tools. This building satisfies your citizen’s basic need for drink. You’ll need to build quite a few of them in order to keep a large population happy. The fields which are required for production take up additonal space. They are 4 x 3 in size, so be sure to account for their placement before you build the cider farm. The Chapel’s only reason for existence is that it fulfills the need for faith. This is a requirement for Peasants to advance to Citizens. It has a radius of effect which is the same as the radius of effect of marketplace. Because of this the chapel should usually be right next to the marketplace to make sure their radius of effect matches as closely as possible and reaches as many houses as possible. Another happiness building, I am again unsure of the exact numbers behind it. It looks pretty – consider it a decoration. The warehouse is the foundation of every island. It is where all of your resources are kept and is where ships go to trade. When you find a new island placing a warehouse on it makes the island yours. It can be upgraded in order to provide more space for goods. Dawn of Discovery is a complex and daunting game to learn, but incredibly rewarding once you understand how it works. 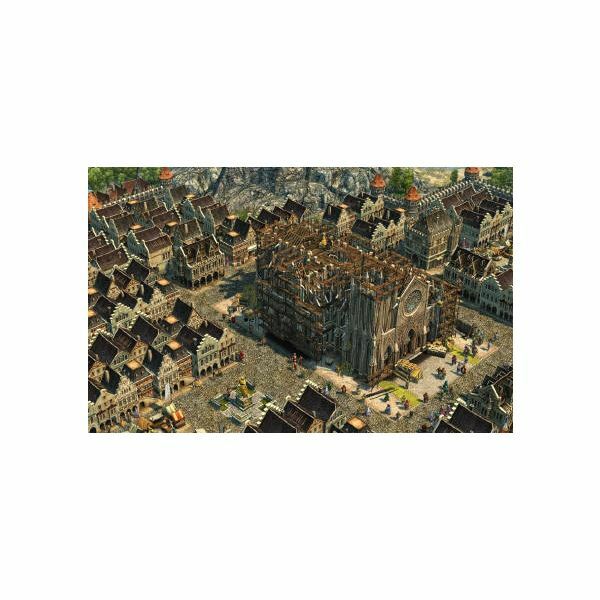 This guide will help you play Dawn of Discovery and enjoy this beautiful city builder.